Parallel worlds, thousands of universes that exist simultaneously with our reality - it may seem fascinating to one person and frightening to another one ... But one thing is clear: there are practically no indifferent people to these topics. You are also captured by stories that begin with the words: "Somewhere in a parallel universe ...", aren’t you? 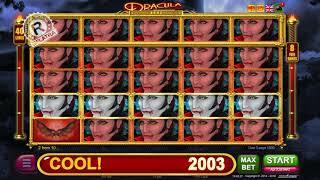 In this case, “Anotherland” video slot is specially for you! And the attraction “7 days” makes the game even more interesting. If you want to play BELATRA’s online slot machines for real money, you need to know how to become a participant of this 7-day marathon. It's easy. Start by selecting a game - only those games that are labeled "7 days" take part in the marathon. Another important condition - you need to log in to your account on the website, otherwise the game will not be able to track your level. After that your task is very simple - to get free games every day. If during the play day you won free reel spins, you achieved the goal of the day, and you move to the next level. In order not to interrupt the chain of levels, you should log in and play this game every day, increasing your level. The indicator on the left side of the screen will remind you at what level you are - it displays your current level. After completing the levels on the 2nd, 5th and 7th play days, you will receive one additional ball each during the draw of wild symbols in free games. So, you started the game on the first day and at some point received free games. The goal is achieved. When the next day you enter this slot again, you will see on the indicator that the first level is closed. And your task is to get free games again. You have received free games -congratulations! You have completed the task of the second day. As a gift – get an additional ball during the draw of the jokers witjin the next three days. You did not interrupt the sequence and successfully completed the task of the 5th day! Now you have one more ball in free games! That means that now 12 balls are participating in the draw instead of 11! Having completed the marathon to the end - that is, playing and receiving free games during 7 days in a row - you will get one more additional ball for the draw of jokers. And now these 13 wild-symbols will be drawn in free games constantly, until you interrupt the game sequence and perform a simple task every day – to enter this game and receive bonus games. Above all, don’t forget that you need to play every day without taking breaks, otherwise the sequence will be interrupted and you will have to start it all over again. If you want to play BELATRA’s online slot machines for free and without registration, then on this website you will be able to appreciate the function “7 days” in a demo mode. One day is half an hour of a free game. Catch free games within half an hour - and move to the next level. Ii is important no to close the page with the demo game! Otherwise, the next time you start the game, you will start the game sequence from the first day. 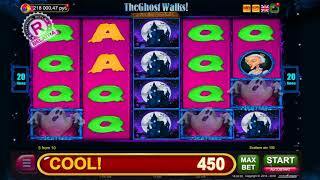 Free games in this slot do not differ from the games in the traditional version of the game “Anotherland”. To learn more about them, please follow the link.